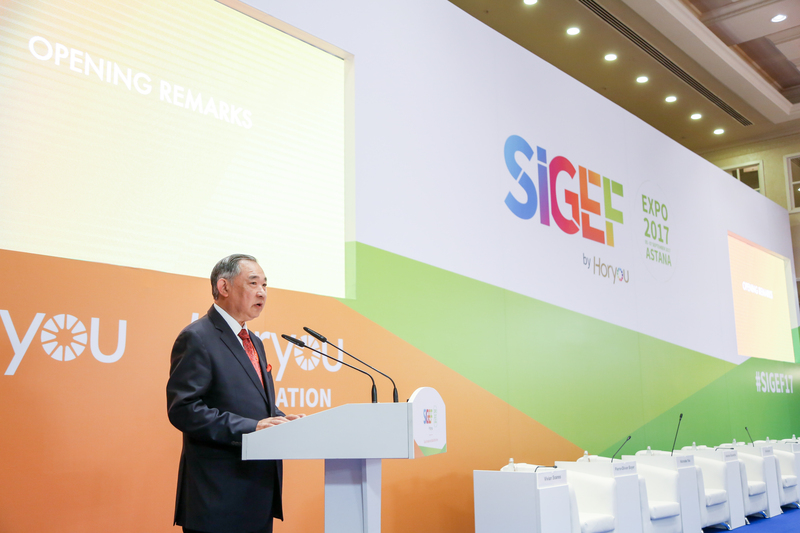 Astana, Kazakhstan, was the host city of the 4th edition of SIGEF, the Social Innovation and Global Ethics Forum. The first edition to be held in Central Asia, it was organized by Horyou, the social network for social good, and took plce on September 5 at Rixos President Astana Hotel with the objective to further promote and advance the UN Sustainable Development Goals in the context of EXPO 2017, one of the most important global events of the year. 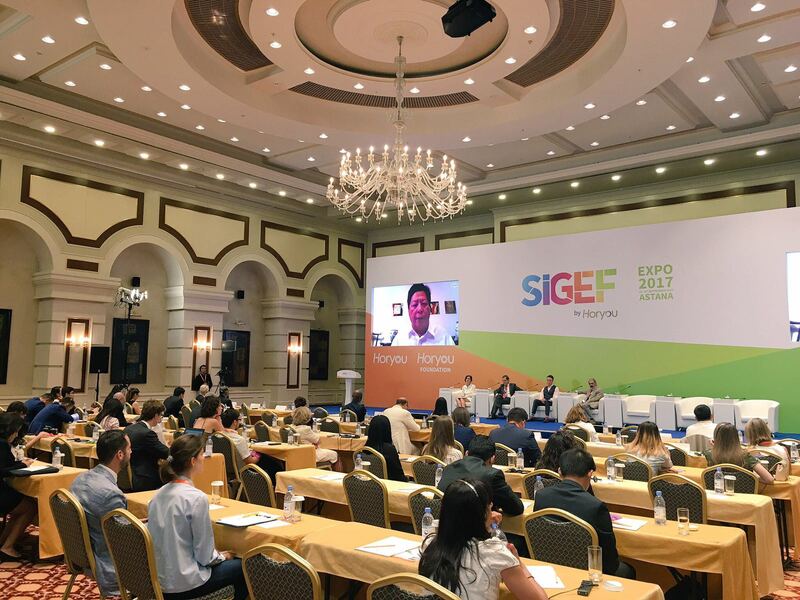 SIGEF 2017 hosted a broad variety of high profile international speakers and panelists before a qualified local and international audience, as well as a large spectrum of global viewers reached via the live-streaming of its sessions. 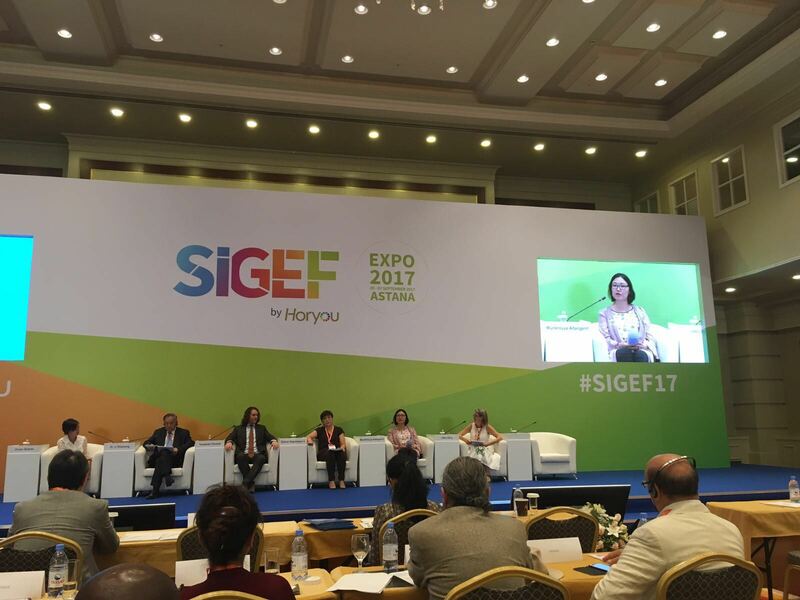 SIGEF 2017 panels offered interesting insights into three of the most critical challenges of our times: Smart Cities, Sustainable Development Goals and Future Energy – the latter supporting the theme of EXPO 2017 Astana. The opening remarks were delivered by Yonathan Parienti, founder and CEO of Horyou who stated: «We live in a world of exacerbated consumption at all levels that is seriously straining sustainable development efforts. SIGEF 2017 is a great opportunity to examine and share solutions to redefine our priorities and help accelerate its implementation. Here we are truly connecting for good». Parienti was succeeded on stage by Dr. Li Ruohong, Chairman of the China World Peace Foundation, founder of the Peace Garden, and Director-General of the Beijing International Peace Culture Foundation, who highlighted the strong global aspiration for peace in a world that is witnessing tensions of different sorts. A resolute optimist, Dr. Ruohong emphasized the strong correlation between a harmonious search for sustainability and a respectful approach to cultures and diversity to shape a better future. The first panel, «Smart Cities: Cities of Tomorrow?», considered the impact of technology and connectivity on the unavoidable expansion of urbanization, highlighting the need to build more efficient and sustainable cities. Live-streamed from Kenya, keynote speaker Nicholas You, former UN Habitat Advisor and Co-president of Global Cities Business Alliance, reminded the audience that «a Smart City puts people first and engages into continuous learning, where information is shared in real time». He was joined on the panel by Andrew Snowhite, Executive Director of the USA Pavilion at EXPO 2017 and Pierre-Olivier Boyer, Director of Strategic Partnership at Vicat Group. Both panelists promoted an inclusive urban planning that takes into puts citizen’s needs ahead of corporate or political interests. Smart Cities was followed by two panels dedicated to the «SDGs as multi-stakeholders opportunities» session, speakers for the private sector and international organizations took the stage to assess the UN Sustainable Development Goals’ momentum. First to speak on the first panel, Munkhtuya Altangerel, Deputy Resident Representative of UNDP in Kazakhstan, highlighted the SDGs milestones in Central Asia affirming that «Remarkable achievements have been made in poverty reduction and accountability”, while admitting that “We still face challenges in the region». Her address was amplified by Dr. Li Ruohong, from China World Peace Foundation, Zhanar Sagimbayeva, UNICEF’s Child Monitoring Specialist and Yonathan Parienti who shared thoughts and hopes for the future we want to live in – and the legacy we are leaving. The second SDG panel guested Yoshioka Tatsuya, co-founder and Director of Peace Boat, Michael Eves, Group Chief Actuary of Swiss Re Group and Peter Biwott, CEO of Export Promotion Council Kenya. 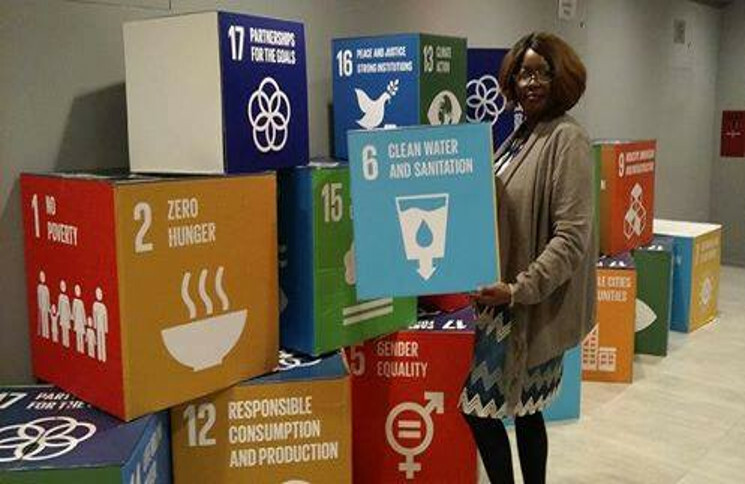 The addresses revolved around the opportunities that the SDGs provide for the private sector whereby the panelists agreed that social inclusion should be the rule because it benefits all actors of society. Mr. Biwott, on his part, added that «Our ultimate goal is to reduce hunger and strengthen education». Resonating with the Paris Agreement, the closing session was on «Future Energy», during which the speakers had the opportunity to share their visions and perspectives about perhaps the biggest challenge for humanity. Advancing the conviction that social entrepreneurship and innovative business models are strong tools to promote positive change, keynote speaker Yoshioka Tatsuya presented the Peace Boat case which uses cruise ships as an educational tool for SDG studies. He was followed by panelists Dr. Pierre Kiala, Deputy Director of Angola Pavilion, Diala Beinke, Engineer and Energy Advisor, and Kodzo Alabo, Ambassador of Ghana who shared their thoughts on the need to diversify sources of energy and to promote social education in order to reach a sustainable consumption of power. 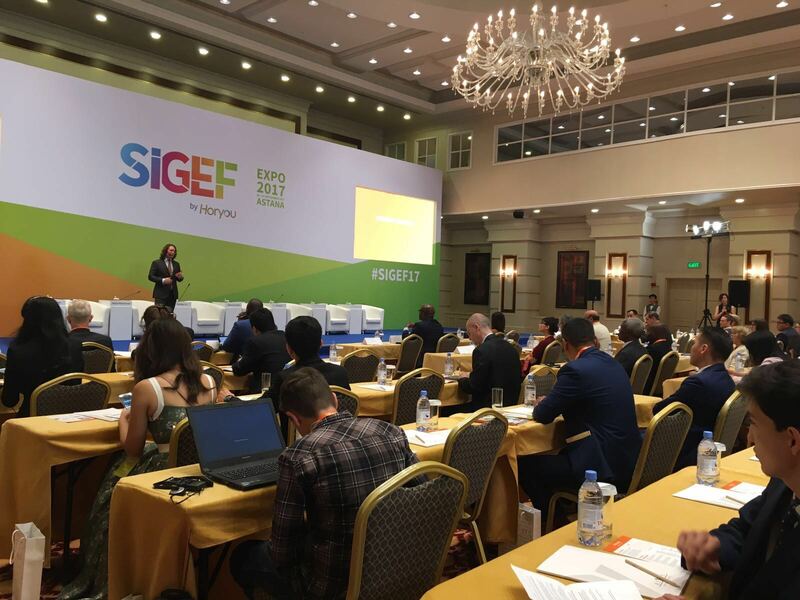 Lastly, in his closing remarks, Yonathan Parienti invited the international audience of SIGEF 2017 to shape better times to come. 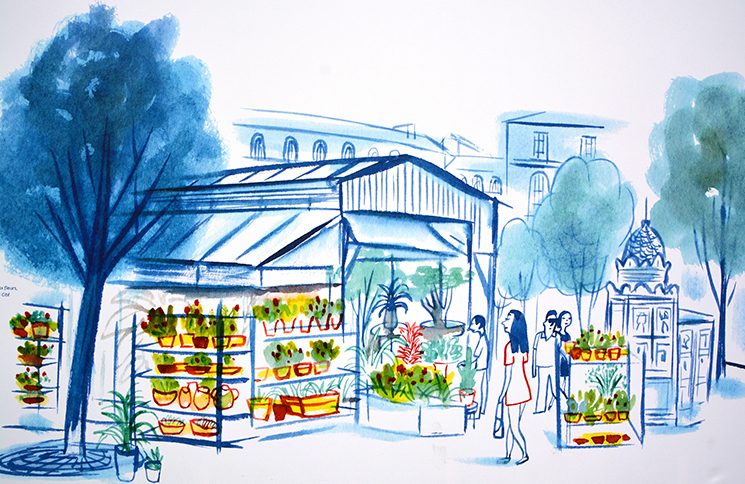 «SIGEF is about sharing inspiration. We can have people from many backgrounds, geographies and nationalities standing together to work out solutions for the future», said the founder and CEO of Horyou. 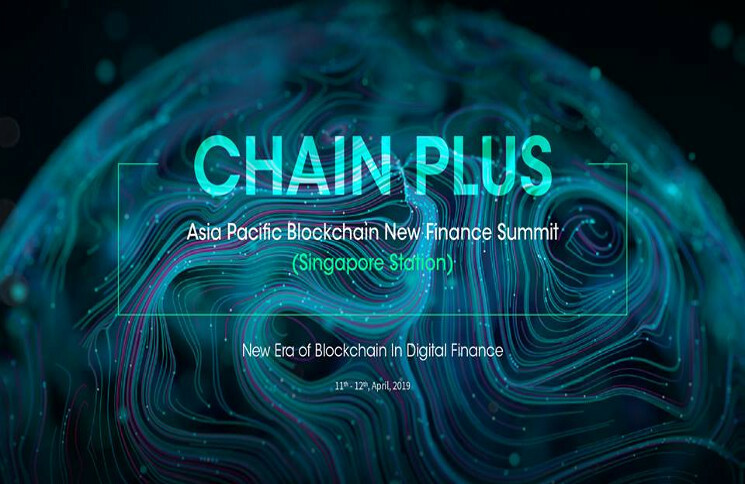 The event was live streamed to more than 250,000 Horyou adherents from 180 countries, and a large number of SIGEF’s partners followers locally and worldwide. SIGEF 2017 panels were followed by a networking session and cocktail, which gave all speakers and members of the audience the opportunity to “connect for good”. 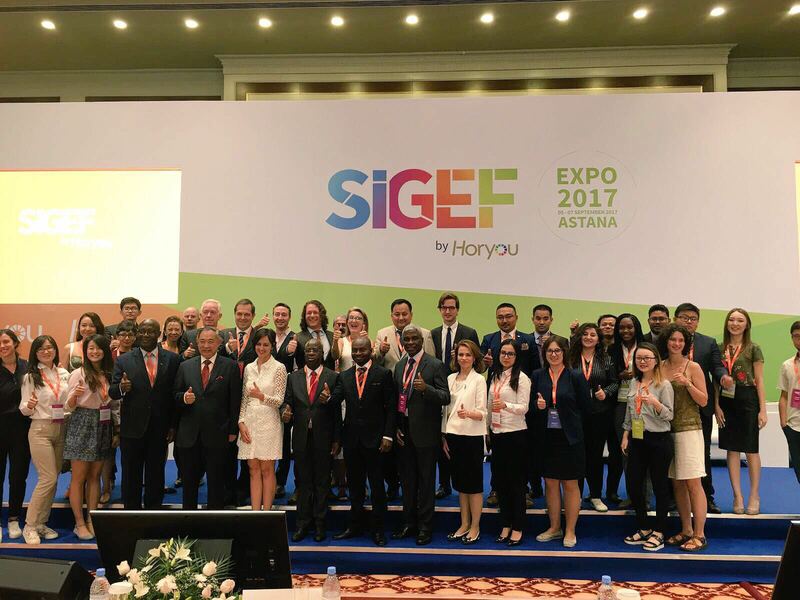 On the 6th and 7th of September, Horyou led a SIGEF17 International delegation to an official visit of a number of EXPO 2017 country pavilions. For more information visit www.sigef2017.com.